The current business landscape opens way to countless challenges, and being a part of an emerging market, such as Malaysia, small businesses need to be prepared to live up to these challenges. There are more international names than ever, and we are in direct competition with the big fishes. Huge corporations and multinational rely on powerful technology but we make the assumption that technology is only a privilege of those with deep pockets. In order to survive as small businesses, we need to make the most out of our efforts and resources through technology that automates processes and centralize control. Before a business invests in complex CRM and other software, it is important to improve in internal functions, especially when it comes to finance and accounting. 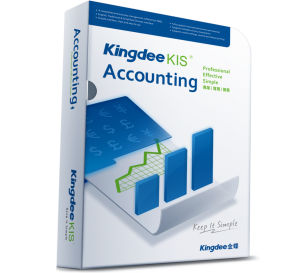 Kingdee, accounting software created specifically for Malaysian businesses, works very well in this regard. Unique professional accounting software that stands out due to its extensive array of features, most of them exclusive to Malaysian businesses. It automates handling of high liquidity assets such as cash, inventory and receivables, process tax in transactions, and provides comprehensive accounting process and reports. It covers simple accounting functions as well as thorough financial and operation management. Comprehensive business management system featuring integrated accounting system and provides full workflow management of business. It helps enterprises manage every aspect of business from quotation and order placement to receipt and payment. It is designed to help SMEs seamlessly manage their business, explore business opportunities, and utilize the best of their resources. 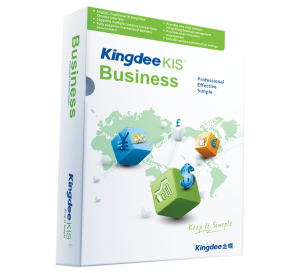 Claim your FREE Kingdee KIS Trial version now! Kingdee is built to cater the unique needs of business from various industries including trading, manufacturing, IT and more. It offers many benefits that are innate for any accounting software; for instance, it allows us to perform accounting tasks more quickly, efficiently, and accurately. It allows us to keep track of our financial progress and performance. International Support – Complete support for international business environment. GST Updates – In Malaysia, we need a solution that fits our budget and also gives us the freedom to handle complexities related to GST. The software is regularly updated to accommodate any changes in GST laws, and the team is always ready to answer queries and concerns of the users. Kingdee is built to deliver great value to small businesses in Malaysia. The real value comes from the fact that it offers businesses a sharp edge without requiring exclusively trained experts. It can easily be used and mastered by an entrepreneur without accounting or technical background. Investing in Kingdee is a smart move for any business aiming for long term and sustainable success. With less hassles to take care of, we can focus on growth and further expansion of our business. Wish to know more about how Kingdee fulfils your accounting needs? Drop us a line or Request the Kingdee KIS Trial version now! Mr. Low Guing SiangDirector of 3E Concept Pte. Ltd. Member of Vega GlobalVega Project Pte. Ltd. Call our Representative or fill in the form below for a VIP preview!